Are you selling your home this spring? Or maybe next spring? If so, you’re probably thinking through all of the potential updates and improvements that would put your property over the top, letting it shine brighter than the competition without costing you too much out of pocket. Focusing on your return on investment is key, and can help guide you to make the best improvement decisions possible. Which Home Improvement Projects Offer High Returns On Investment? Every home is a little different, and you should always focus on your greatest needs (tired systems and surfaces, a dilapidated roof, points of interior or exterior damage, etc...). In other words, don’t remodel the kitchen if the roof is leaking. If your home is solid and sound in general, here are a few improvements that will certainly pay you back well someday. Kitchens carry more importance than perhaps ever before. Maximizing style, storage, and utilizing timeless materials will never let you down. If you don’t have the budget for a complete remodel, you might also consider cabinet painting or refinishing to provide an updated look. Talk with your kitchen remodeling pro, and create a customized plan to stretch your investment dollars. Nobody wants a tired, outdated bathroom. 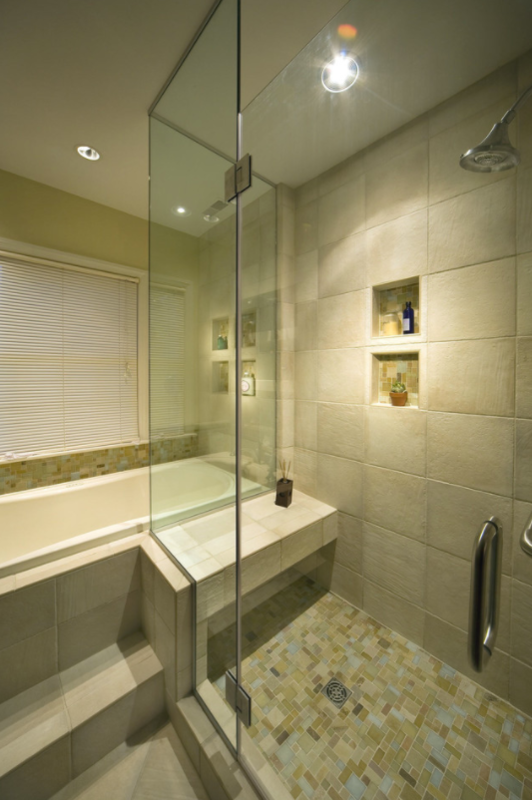 Even if it’s small, adding in a private master bath can be a great choice, or at least adding a second bathroom somewhere in the home if you only have one currently. If a more extensive remodel is a possibility, focus on what’s trending: walk-in showers, soaker tubs, double vanities, etc... A little wow factor can go a long way! With the help of a professional, evaluate which walls provide structural support and which can be removed to create a more open concept. Multiple smaller spaces (typical of older houses especially) can be connected relatively easily to drastically transform a home. Walking through the front door to face a wall is a lot less attractive to a prospective buyer than a modern, wide open layout with endless possibilities. Dark rooms tend to feel colder and smaller... Investing in overhead lighting, recessed lights in strategic places, and better lighting in your bath and kitchen will powerfully update your home. For a more natural touch, talk to your remodeling professional about skylights or sun tunnels too. #5 Is Your Home Welcoming? 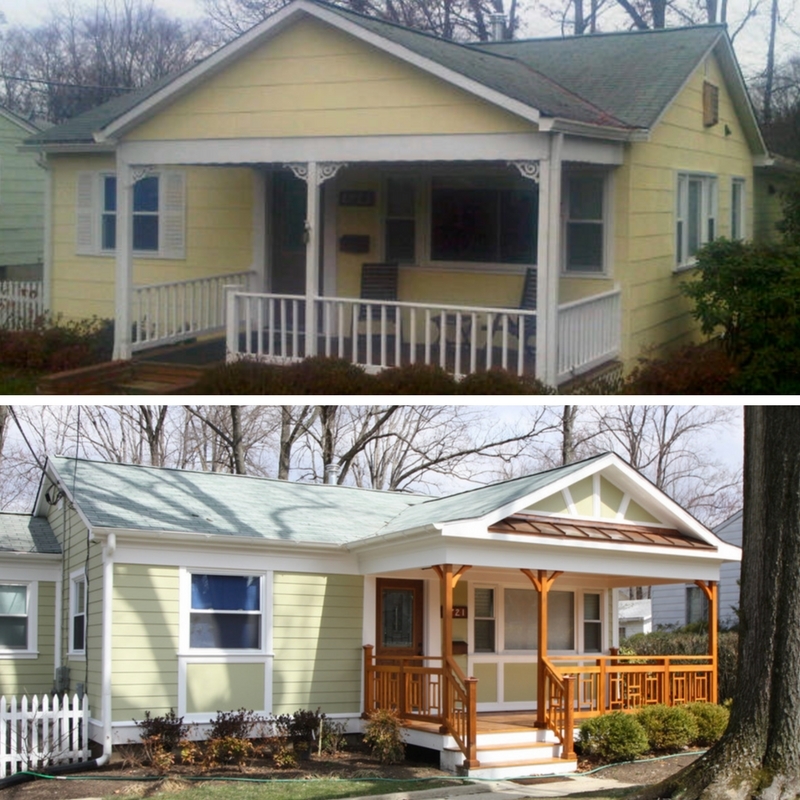 Take a look at the drastic difference in the home above. The top photo looks tired, dated, and bland, while the second accentuates the best characteristics of the property. Paint, refinishing woodwork, and a little landscaping can provide that essential curb appeal. 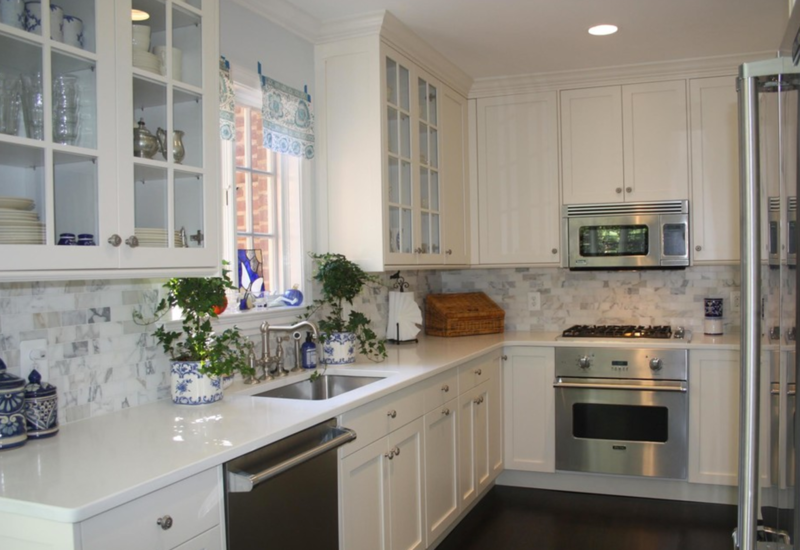 Are You Ready to Update and Remodel Your DC Area Home? Give us a call at Stohlman & Kilner Remodeling Contractors to begin planning your project today.